Perfume people love to diss a new release aimed at millennials, and this is what happened in part with Dior's Poison Girl when it first hit the counters. Outrage! Is it because quite a few perfume lovers are beyond the millennial age bracket? Or is it possibly because they consider their tastes evolved beyond the basic package promoted to millennials, aka super sweet fragrances that revolve around candy floss and synthetic berries molecules with a smattering of patchouli for good measure, making everything smell the same? I kinda feel the latter is more like it. And with good reason. And this is why I have to give it to Poison Girl. Because it doesn't quite do that. It does so much more and manages it without being either innovative or Art with a capital A. Damning with faint praise? Well, no, so read on please. 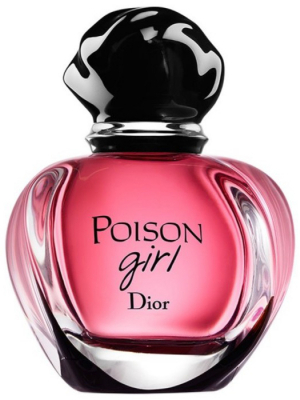 Dior decided to play their hand into making something new with Poison Girl, while at the same time featuring something old. Like the basic bride's mantra they're borrowing from both worlds in order to attain two necessary goals: lure in new customers, yet not alienate older customers at once either. Surprisingly the bet works and hit the jackpot! Poison Girl a year and a half after its official launch is selling very well indeed and also has the eau de toilette version to prove it. But the real question is: Why does Poison Girl succeed where others fail? The rest is on Fragrantica. Bottom line: Poison Girl succeeds where other flankers fail and there's a good reason for that. Take a read and see. I enjoyed your full review over on Fragrantica very much - interesting the way you traced the 'DNA' of Poison Girl, which I might so easily have passed over. All these noir and/or pink and sometimes sparkly Coco and Opium flankers et al have left me rather cold. I will be sure to give Poison Girl a sniff now when I see it in store! Thanks for reading and for taking the trouble to comment! Poison Girl may work on the levels you describe and do it well. However, there's nothing like the thrill of scoring a vintage bottle of Poison, the original killer juice! Of course, having read your review, I have another perfume on my list I want to buy. !! !